Shake the Vodka and Tomato Juice with ice and strain into a highball glass with ice cubes. 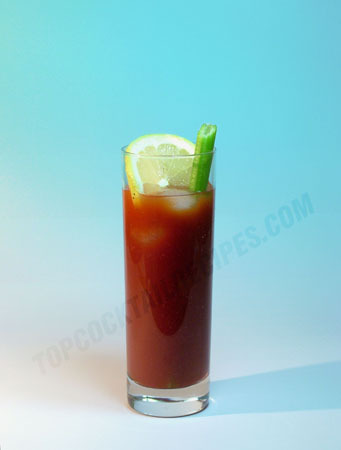 This is the basic version of Bloody Mary. To make life more interesting you can add Lemon Juice, Lime Juice, Worcestershire Sauce, Tabasco Sauce, Salt, Pepper, Celery and what else. Refrain from experimenting with more than five versions of this cocktail a day.